The #1 most downloaded (and in our opinion, the best golf app! ), GolfLogix takes precision and perspective to a new league with groundbreaking technology that maps courses down to centimeter accuracy. GolfLogix’s technology allows you to more accurately align your ball with the hole in the distance, so you can putt and swing with precision and confidence. If you’re new to GolfLogix, look for the following features in the app, informed by years of expert analysis, so you can sink the putt with accuracy everytime. A full log of 3D maps for over 35,000 Courses. GolfLogix includes 3D maps of over 35,000 courses internationally, spanning from Switzerland to Turkey to the United States. Chances are high that wherever you travel, you’ll have access to our analysis tracking. And, if you happen to be playing on one of the few courses we do not yet have data for, you can send a course mapping request. Anywhere you go, you’ll have a full birds-eye, and on 13,000 of the maps, a centimeter-by-centimeter view and understanding of the course so that you can play your best game yet. A 3D robust and detailed overview of your course. GolfLogix shows you all of the details of the course you’re playing on (if it’s one of the over 13,000 of the centimeter views that are logged in our software), down to putt distance, elevation change, break, speed, and optimal aim point. Simply hold your phone up to the course to analyze key factors to influence your hit, including visual arrows of elevation that may affect your play. Every potential hazard or bump on the course is visible to you, down to the exact distance away. An interactive putt practice on the convenience of your phone. Think you have your putt angle? Don’t trust your eye alone. Before you hit blindly, test your intended putt direction by drawing a line in the app to the hole. GolfLogix will suggest how the putt will break, so you don’t waste a run on pure guesswork if you missed the curvature of the green to the left. Try as many angles as necessary on the app to confirm optimal accuracy, then make your lucky shot. Integration with your Apple Watch. Prefer to leave your phone in the club or your car? Conveniently access the same abundance of information by integrating the Golflogix app with your Apple Watch. Simply hold up your wrist to use the same features. 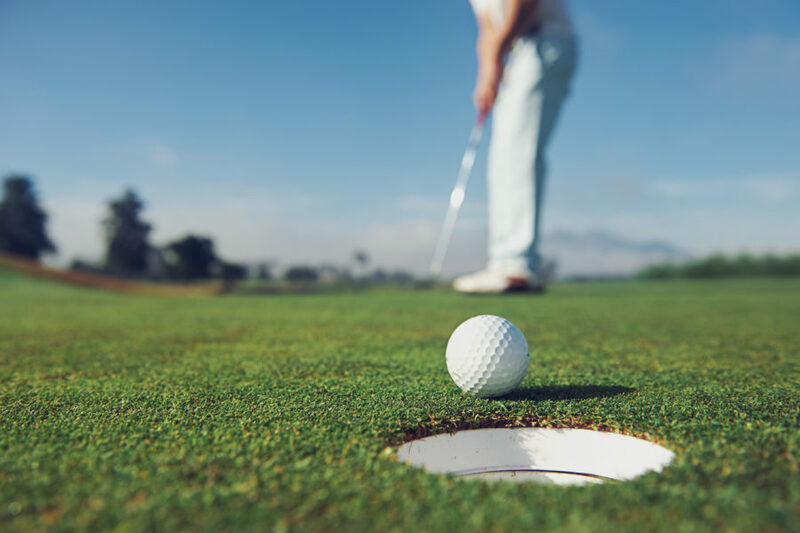 Winners take advantage of all of the information at their disposal, and Golflogix has worked tirelessly to create the technology to allow an optimal understanding and perspective. It’s a tall order for an app – but hey, that’s why they call us the #1 best golf app. Tee time!